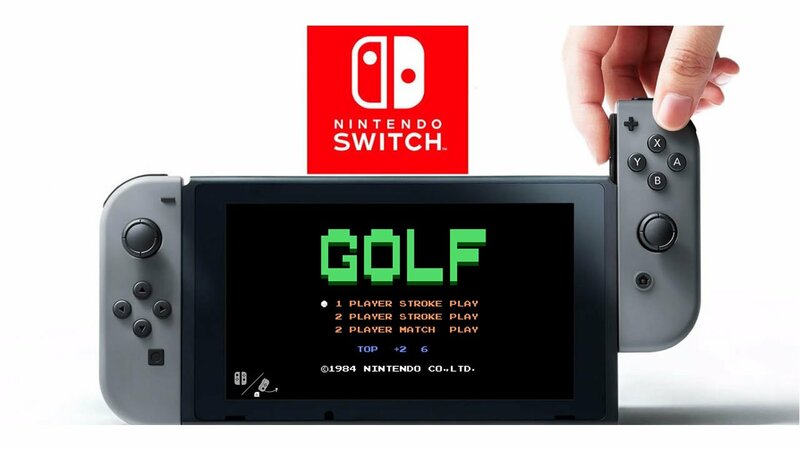 Turns out that the Switch's "flog" emulator contains a copy of the classic Famicom title Golf. Just over two months ago, hackers dove into the Nintendo Switch firmware and uncovered a piece of code called "flog." After further inspection, it turned out that the software was a fully-functioning NES emulator, which lead to speculation about the system's future support for classic titles, like Nintendo's much-beloved Virtual Console support. Well, it turns out that flog does include a game, and perhaps unsurprisingly, it's the 33-year-old NES classic title Golf. 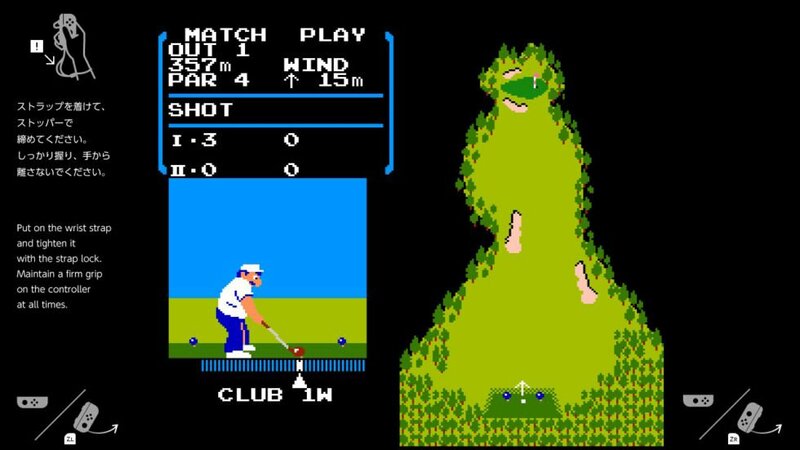 Golf, which originally launched on the Famicom in Japan back in May of 1984, was one of the first sports video games released for the system, and served with distinction as the 14th overall title ever launched for the Nintendo console. More than just a random game in history, Golf set the standard for the sport's traditional electronic gameplay style for years to come, and the title was also the first Nintendo game ever to be worked on by famed composer Koji Kondo. Interestingly, the Switch's copy of Golf also includes on-screen instructions in both Japanese and English, and it appears that the game can be played through the Joy-Con controllers' motion control option. This would be the first time that any NES game has ever supported motion controls, and that includes Virtual Consoles titles released during the lifecycle of the Nintendo Wii. According to poster yellows8, who detailed the finding over on SwitchBrew, there's no known launch condition for the game -- in response to ArsTechnica, yellows8 stated that the NES emulator and Golf were accessed in an "unofficial" manner, meaning the game is likely something users wouldn't be able to stumble upon given the usual Switch-based activities. It's also still unknown just why the game is hidden on every Switch system, and until Nintendo decides to comment on the matter, all we have is speculation. Looking to brush up on some Switch gaming? Check out some of the excellent titles we've featured on our list of the Best Nintendo Switch Games.